Australian Prime Minister Malcolm Turnbull on Thursday said he “wouldn’t go that far” in saying there have been refusals, but wouldn’t deny there have been delays. 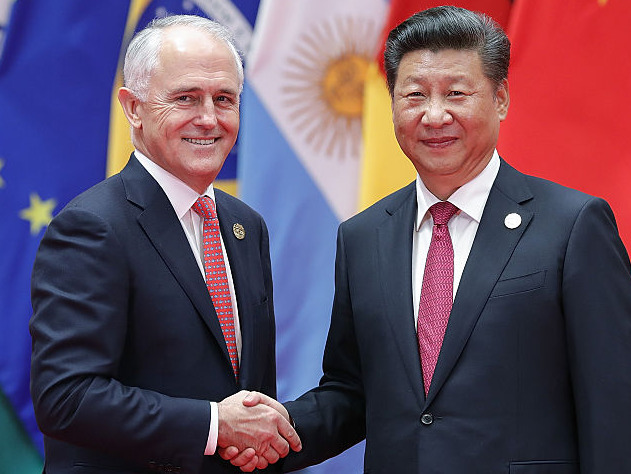 Tensions between the two countries have risen since Australia proposed foreign interference laws after a wave of claims about Chinese influence campaigns. On Thursday, The Australian Financial Review reported China has “regularly refused” visas to Australian ministers due to the government’s rhetoric concerning China’s growing influence operations. Australian ministers were curiously absent from this week’s Boao Forum for Asia and the Review reported an annual trade show in China may be abandoned because of an inability to secure visas. “They are nonsensical. Such a thing did not ever exist,” Geng Shuang, China’s foreign ministry spokesman said on Thursday, according to the Global Times. Lintao Zhang/Getty ImagesChinese President Xi Jinping (right) shakes hands with Australia’s Prime Minister Malcolm Turnbull to the G20 Summit at the Hangzhou International Expo Center on September 4, 2016 in Hangzhou, China. Earlier on Thursday, Australia’s Prime Minister Malcolm Turnbull said he “wouldn’t go that far” in characterising the visa situations as refusals, but wouldn’t deny that China has been delaying visa application for his ministers. “I wouldn’t say they have been declined. I have to be careful and precise about that,” the Prime Minister said. Last year Turnbull proposed a new law to target and broaden the definition of foreign interference, after a wave of claims regarding China’s influence campaigns in Australia. 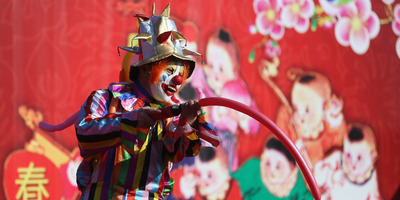 The laws have been derided in China, where they have been characterised as both paranoid and somewhat racist.